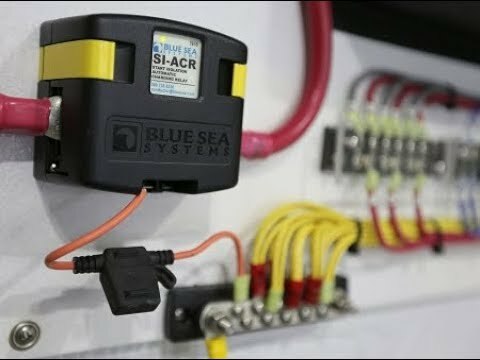 There are a number of different ways for boaters to charge their batteries while motoring. One of the most common is to use an alternator driven by a main engine, but not all alternator systems are created equal. Providing an efficient charging system that uses the alternator will reduce your engine run time and ensure that when you arrive at your destination, your batteries will have received the maximum charge. Voltage drop is defined as a decrease in voltage along a conductor (a wire) through which current is flowing. For example within a 12V system, there are very few volts to lose, from 12.8V for a full battery to 12.2V for a half-full one. Cautious boaters recognize the need to minimize the loss of any precious energy created by an alternator, solar power, wind, and so on. The correct wire size, reduced wire length, and good connections will make sure that all the power is sent from the source to the battery without losing too much voltage along the way. 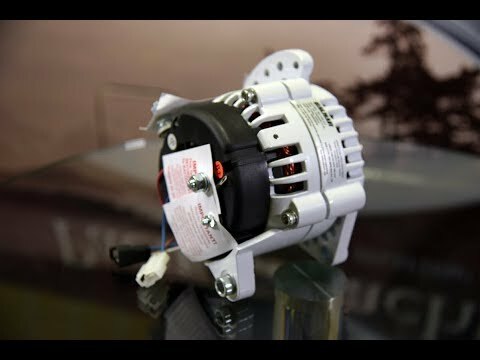 Tips Here are some tips on how to make certain your alternator provides you with the maximum amount of generated power. All too often the wire size between alternator and battery is seriously undersized. 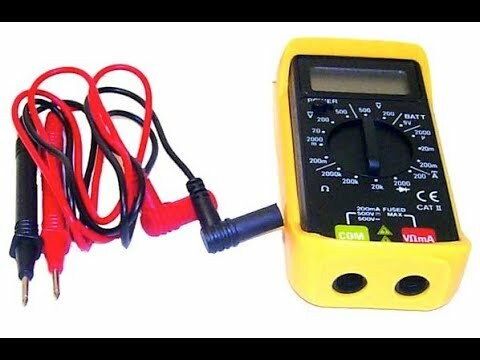 Remember when wire sizing for 12V or 24V systems, amperage is not the only factor, voltage drop should also be considered. Most alternator circuits need larger wiring to minimize the voltage drop and in turn provide faster charging. During our electrical audits we commonly see alternator circuits that are inefficiently routed through the boat. For instance, some older boats have the alternator circuit re-routed to an amp-gauge at the engine panel or the electrical panel so the user could measure the alternator output. Sure, measuring alternator output is convenient, but not at the cost of losing 10 to 40 percent of the output. To minimize voltage drop you need to route the alternator circuit as directly as possible back to your battery. All connections aboard a boat need to be free of corrosion and dirt. But this rings especially true for the alternator circuit since it commonly runs the largest amperage aboard your boat. 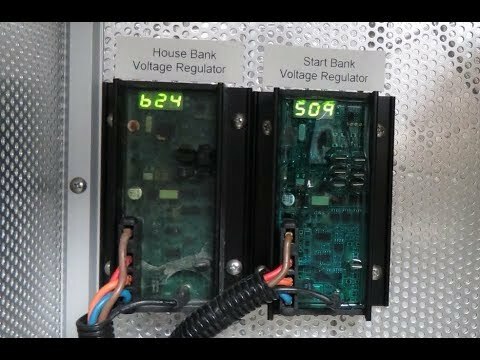 Surprisingly, bad connections can cost one volt or more with large current. As such, make sure your connections are well done and have the proper heat shrink to reduce further corrosion. Diode combiners are inefficient, as they generally take 0.7V to operate. 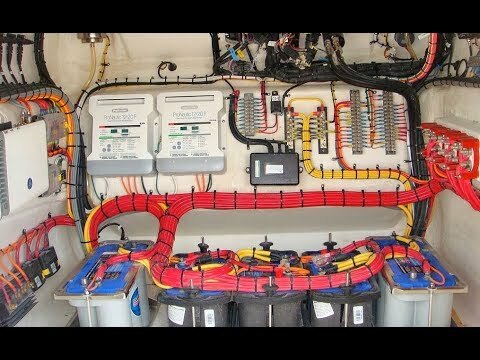 Therefore they should be removed from your boat and replaced with a modern equivalent eliminating any of voltage drop drawbacks. Depending on your battery setup a Blue Sea ACR may be suitable. 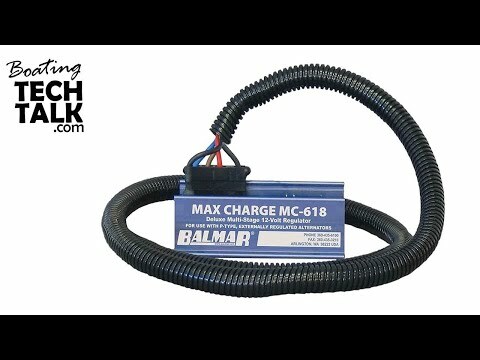 This will allow your alternator to efficiently charge your battery bank as it delivers a smart three-phase charging regimen (flooded, AGM, gel, and so on). An external regulator along with temperature sensors for your battery and alternator will give you up to a 50 percent increase in charging output. 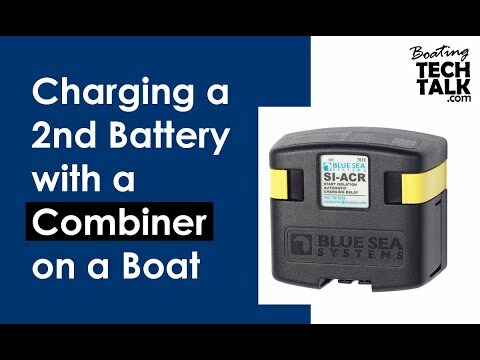 By following these tips, a boater can increase the efficiency of their alternator and ultimately reduce the time to charge their batteries.